The Rubber matting, rolls & sheet products here have many varied applications and will solve many commercial flooring dilemmas. In special finished profiles including fine fluted, diamond, broad rib, checker plate, pyramid, ribbed, coin open grid, rope & anti-slip. Rubber matting products are ideal for commercial floors and have many uses in gyms, farms, greenhouses, vehicles, factories, office complexes, shops, retail stores, recreational facilities, local authority buildings, public buildings and educational establishments. Fine flute rubber matting is a low cost anti-slip general purpose SBR synthetic / natural rubber matting. The number 1 best selling rubber ribbed mat product around the world. It has a fine rib on the top surface and a fine cloth impression pattern on the reverse which makes this product amazingly versatile. Fine flute rubber matting is ideally suited for loose lay applications for floors, walkways, tread mats, runners, shelving, van loading areas, work benches and general purpose areas. It solves slip hazards quickly in and around entranceways, doors, lift floors, stairs, escalator aprons, ramps and more. Fine rib rubber flooring can be stuck directly over existing hard flooring in most cases, or installed as a new floor finish indoors or outdoors. 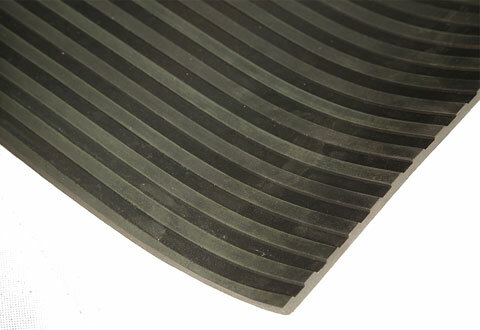 The rubber flutes act as a scraper to trap water and debris and offer great anti slip properties. Available in 10m x 3mm, 4.5mm, 6mm & 10mm thicknesses and 1m or 1.2m widths or custom cut lengths. 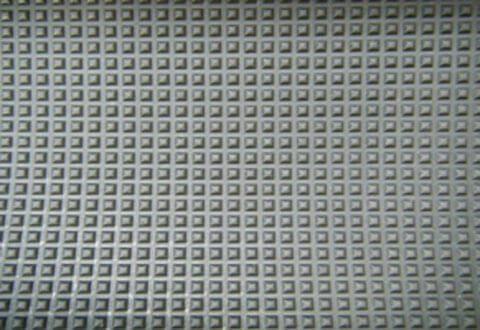 Coin pattern rubber matting is a non-slip rubber matting with a rubber stud pattern. Manufactured from high quality SBR / natural rubber compound to produce an excellent floor covering. 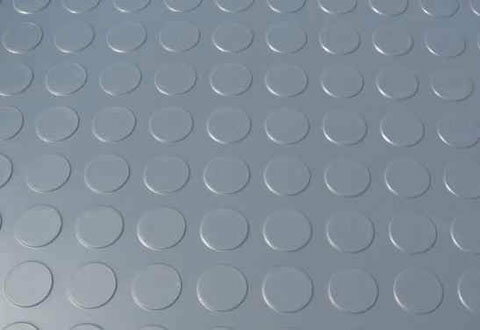 Circle coin pattern roll is a flexible rubber flooring with a raised pattern profile finish giving both an anti-slip and aesthetically pleasing appearance. Ideal for floor areas of light, medium traffic areas offering multi-purpose use in entrance areas, store rooms, work areas, corridors, medical centres, railway and bus station halls, airports, school facilities, shower rooms, bathrooms, stair cases, play areas, kitchens, garages and shop floors. This decorative rubber flooring roll product is available in colours and is suitable for wet and hygienic areas kitchens, bars etc. however it must be fully bonded onto a smooth suitable surface. Available in 10m x 1.2m rolls @ both 3mm & 4.5mm thicknesses. 5 bar checker pattern rubber matting is a low cost anti-slip checker plate 5 bar design rubber flooring. The chequer surface design offering anti-slip characteristics from any direction of approach. General purpose economy grade SBR synthetic / natural rubber matting. The familiar 5 bar checker plate pattern as seen on metal is great for loose lay floor applications for walkways, corridors, treadmats and floor runners and general purpose industrial & commercial areas. Can be stuck to most hard floors with the correct preparation and adhesive. Available in 10m x 1m & 1.2m at 3mm & 4.5mm thick rolls. 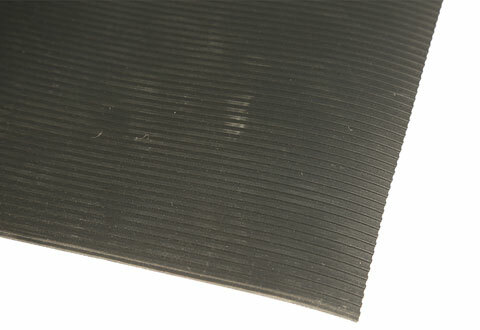 Star checker rubber matting is a high quality SBR rubber matting. Anti-slip checker plate star pattern design surface offers excellent slip resistance characteristics from any direction of approach. A hard wearing rubber matting product with a pleasing aesthetic look. Checker plate matting can be stuck directly over existing hard flooring in most cases. Ideally suited for loose lay applications for walkways, treadmats, runners and general purpose industrial and commercial areas. Pyramid pattern rubber matting is a general purpose SBR synthetic / natural rubber matting with a high relief design surface it offers excellent anti-slip characteristics from any direction. Suretred pyramid rubber mats can be stuck directly over existing hard flooring in most cases and is also ideally suited for any areas where multi-directional anti-slip properties are required, loose lay applications for warehouse safety walkways, treadmats, corridor runners and general purpose industrial & commercial flooring areas. Available in 10m x 1m & 1.2m widths at 4mm & 6mm thicknesses. 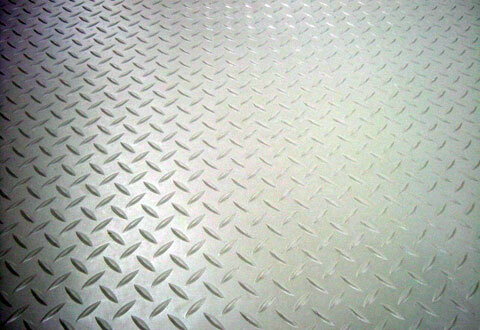 Diamond pattern rubber matting is a low relief design surface that offers anti-slip characteristics from any direction. Excellent where a low relief pattern is required for easy cleaning but still retains a slight anti slip property. 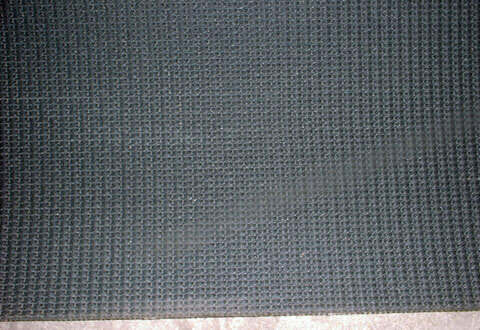 A general purpose SBR synthetic / natural Rubber matting. Suretred diamond rubber mats can be stuck directly over existing hard flooring and also are ideally suited for loose lay applications for walkways, rubber van flooring, runners and general purpose industrial commercial floor areas. 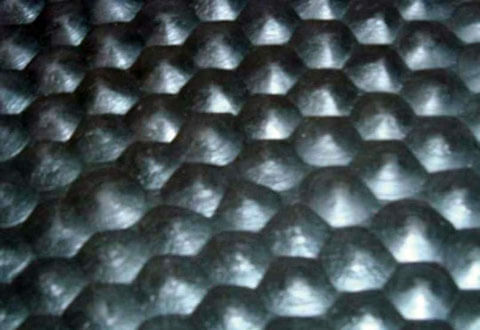 Rhombus pattern rubber matting is a rubber matting with a safe non-slip rhombus pattern with excellent non-slip multi-directional characteristics for applications involving excessive amounts of water and liquids. A premium grade coloured option is available to prevent slips. Attractive and hard wearing rhombus is ideal for steep or inclined areas especially walkways. Perfect on ships, boats or any marine application. For use indoors or outdoors can be loose laid or stuck to any stable substrate. Rhombus rubber mats are available in 10m x 1m widths at 3.5mm thicknesses. 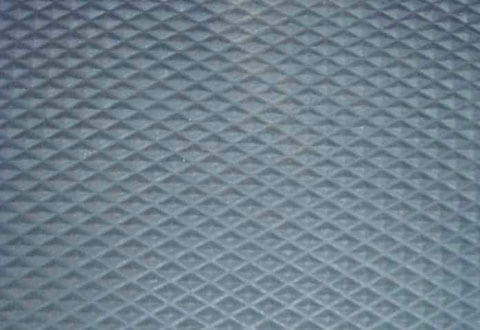 Broad rib pattern rubber matting is a high quality SBR synthetic / natural rubber broad rib floor matting. A heavy duty and robust runner offers exceptional wear characteristics and is ideal for lift floors, ramps, escalator or bridge aprons and building access doorways for heavy wheeled vehicles or trolleys. Suretred rib rubber matting can be stuck directly over existing hard flooring in most cases, or installed as a new floor finish to any doorway apron. Can be laid indoors or outdoors. The rubber broad ribbed profile offers sure footedness, anti-slip characteristics and acts as a scraper to trap water and debris. Available in 10m x 1m & 1.2m at both 4.5mm & 6mm thickness rolls or custom cut. Orange peel pattern rubber matting is a heavy duty and robust runner rubber non-slip matting offering exceptional wear and multi-directional anti-slip characteristics. The orange peel pattern is ideal for any environment where a multi-directional anti-slip rubber matting roll is required. To help prevent slips, trips and falls in entrances, ramps, building access door points along corridors and where heavy wheeled vehicles or trolleys operate. Available in: 10m x 1.25m at 3mm & 4.5mm thicknesses. Grip reinforced rubber matting has a high quality textured rubber finish for the ultimate anti-slip performance where safety is of paramount importance. 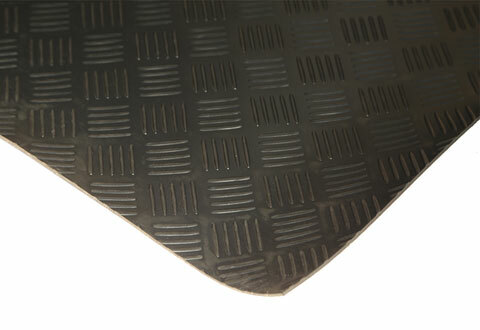 Suretred grip rubber matting has excellent non-tear properties due to the nylon inserts and is ideal for areas which encounter harsh weather and are subject to sharp inclines or ramps, trailers, golf club bridge aprons, marine areas and building access points, for wheeled vehicles and trolleys. Being fully weatherproof it can be used either indoors or outdoors. 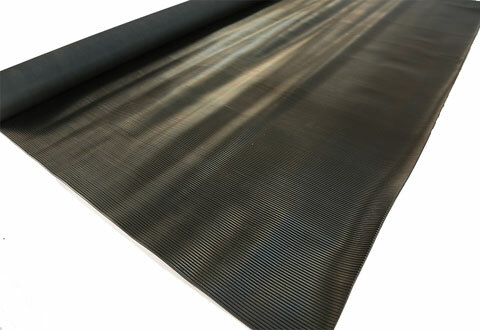 Suretred grip rubber matting is manufactured from top quality rubber compounds and fabric reinforcements giving high non-tear qualities and offering exceptional wear and grip characteristics and sure footedness. Suretred grip will require full bonding onto a suitable flooring substrate to ensure its optimum effectiveness. Available in 50m x 1.2m & 1.5m width rolls at 6.5mm thicknesses. 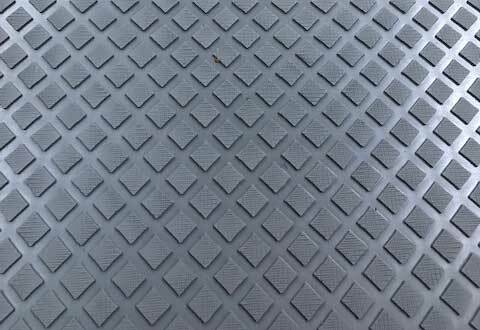 Castellated pattern rubber matting is a high quality SBR synthetic / natural rubber matting with a anti-slip castellated surface on one side and a fine cloth impression pattern on the reverse. Indoors or outdoors the Suretred castellated rubber matting flutes act as a sharp scraper edge to trap water and debris and is hard wearing and durable. It has many uses and is excellent value for money. Ideally suited for loose lay applications for walkways, treadmats, runners, shelving, work benches, dog runs, flooring and with an attractive clean matt black appearance. Available in 10m x 1m & 10m x 1.2m rolls @ 3mm & 6mm thicknesses. 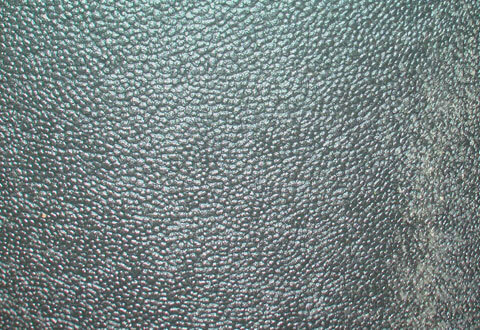 Crumb rubber matting is a high quality dense and durable rubber sheeting. Manufactured from differing rubber crumb particles and bonded together using a bonding agent creates a cushion effect allowing for relief when contact is made by a body or weights and is therefore a must in a gymnastics environment. Offering an attractive and tough floor covering for gyms, weights and training areas. With very good insulation properties and yet lightweight Suretred crumb is ideal for protecting existing floors and reducing noise levels. 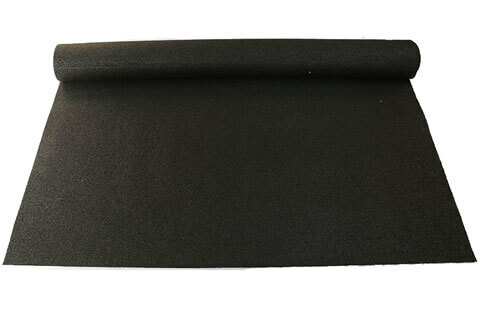 Available in various colourways this rubber crumb sheet product is extremely versatile. Available in roll sizes of 10m x 1.25m x 4.5mm, 7mm & 10mm thicknesses. Cobble pattern rubber matting is a general-purpose SBR synthetic / natural rubber matting. Cobbled pattern design surface offers anti-slip characteristics from any direction of approach. Cobble rubber matting is specifically manufactured for horse, cattle and animal transporters - and is also suitable for various industrial and commercial applications. Available in extra wide widths reducing area piece fittings and with fluted reverse for drainage. 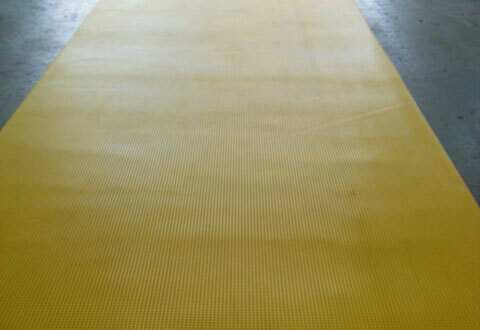 Pyramid Hi Viz rubber matting is a high quality hi-viz yellow anti-slip rubber matting roll. Hi Viz pyramid safety rubber matting has a yellow pyramid pattern surface one side and a black fine cloth impression pattern on the reverse. The Suretred high visibility rubber matting is ideal for indoor or outdoor use and has a unique multi-directional high grip pattern to allow for water & debris to dissipate from the surface. Ideally suited for loose lay applications for walkways on building sites for safety and direction, allowing workers to move around the site on designated areas whilst alerting vehicles to clearly see the walkway. Available in 10m x 1m widths @ 3.5mm in thickness. Is rubber matting suitable for a garage floor? Unless it is a special type of rubber i.e. nitrile which will be in a roll or tile format then normal SBR or NBR is not resistant to grease and oil that is why PVC tiles are usually used as they are resistant and can be interlocked. How can I weld rubber like PVC? It is not possible to weld rubber flooring if you want to make your rubber flooring impervious it needs to be bonded with a resin adhesive and make sure there is no gaps or joins that have not been glued together. PVC uses a hot melt PVC filler rod which fuses the the edges of the PVC matting and therefore it is permanently sealed.